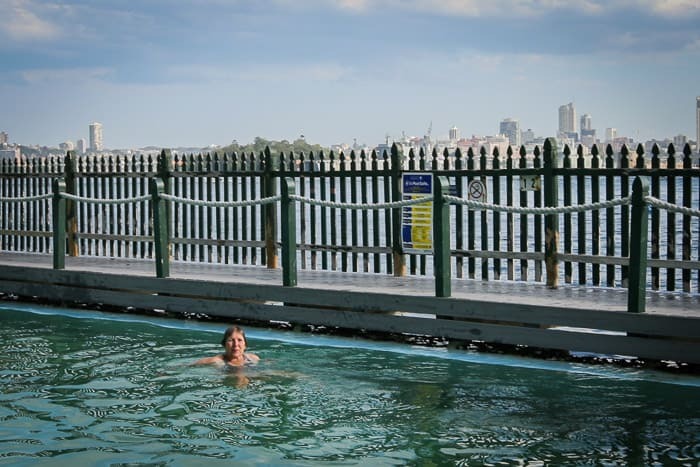 MacCallum Pool, you are a true Sydney hidden gem…. but easy to get to both for Sydneysiders and for visitors to our Harbour City. 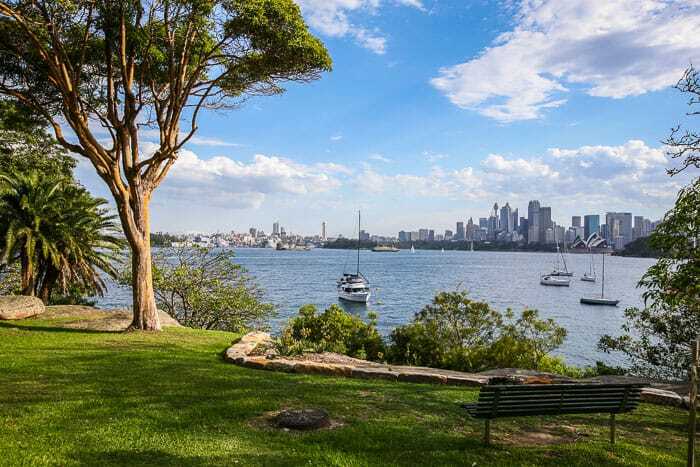 The views over Sydney Harbour are absolutely gorgeous. The huge trees by the pool are glorious to too. The water is refreshing, the ferries glide by, yachts bob. There are decks to lounge on, the pool to splash in. Any complaints? I don’t think so. 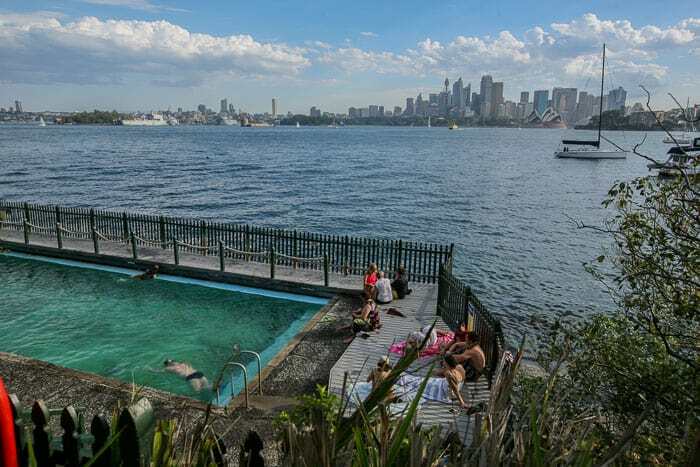 From Sydney city centre, just hop on the ferry at Circular Quay, get off at Cremorne Point and then amble along the walkway then take the path down to the pool. The weekends can be very busy, midweek days are much quieter. Oh look, there’s me having a dip… with no kids! The pool is closed for cleaning and refilling once a week, check days on the council website here. 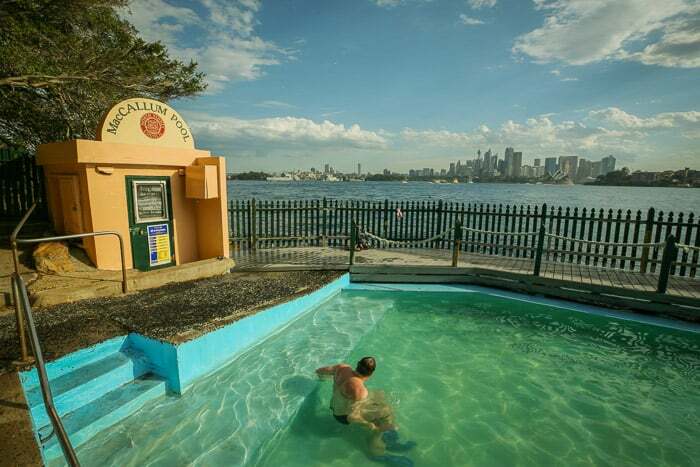 MacCallum Pool is a public swimming pool, set just by the waters of the harbour and fed by them. It has a deck all around. It is completely free to us. The pool is fairly narrow and about 30 metres long, it can be busy and not great for laps… just depends on the weather and time of year and day. The pool has wooden decks on two sides and seating areas. A green picket fence surrounds the entire area. There is a small shallow shelf at one end of the pool where smaller children can paddle and sit down. Adequate space is provided to park prams but note that the two paths off the main path that lead to the pool both have steps. 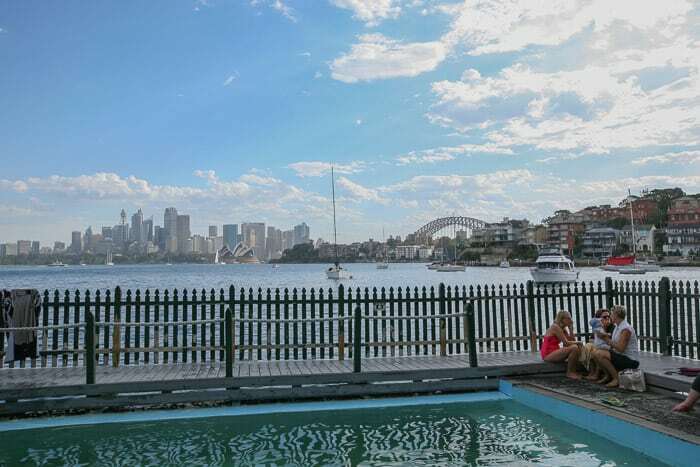 There were various pools around Cremorne from the start of the 20th century, this one was extended and championed by local resident Hugh MacCallum in the 1930s. There used to be an entrance fee but no longer. The pool is maintained by North Sydney Council, lots of the paintwork is peeling and it has an air of faded grandeur, which makes it all the more appealing. Mum’s report: This is our favourite secret harbourside hideaway. 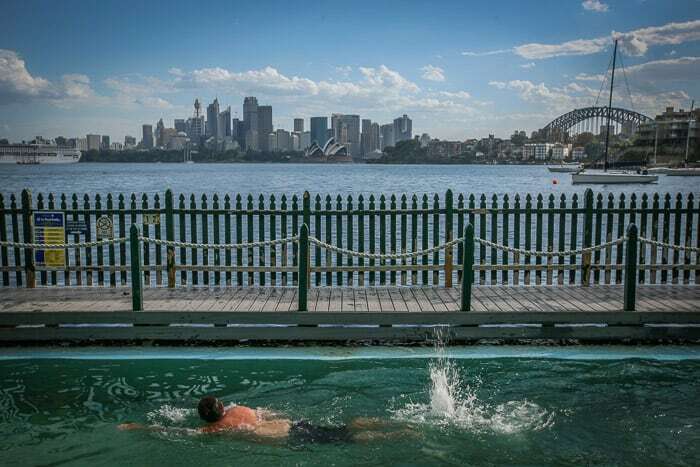 We love the million-dollar views of the city, bridge and Opera House and the fact that the pool is rarely busy. Macallum Pool is only lacking a café, but then again, it wouldn’t feel so hidden and so special with any more amenities, or people. 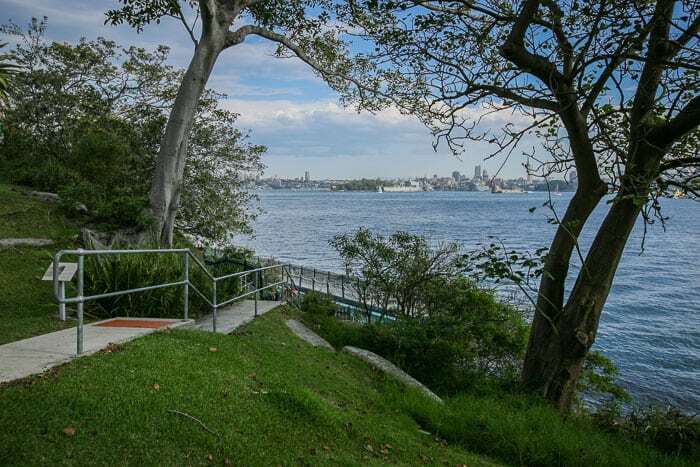 Extra: The stroller walk round Cremorne Point, click here. 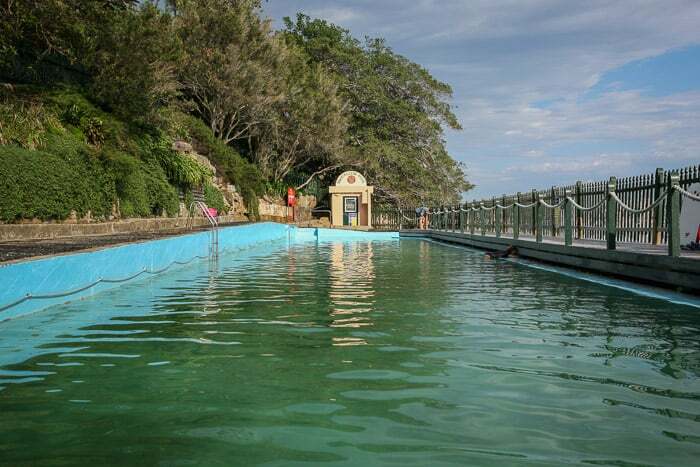 Does your family have a secret Sydney hideaway? Would you share it? PS Don’t forget to check the cleaning days before you plan your trip! NB: New photos taken after a visit to the pool this week, bits of rewriting and updatings done too. 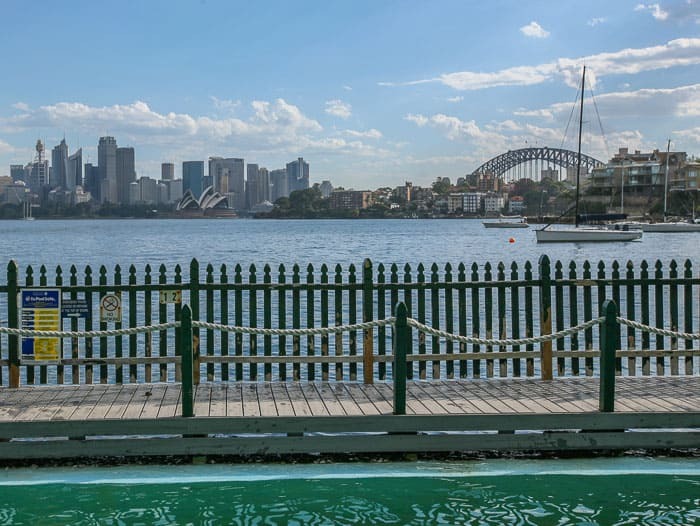 Great news we are moving to Cremorne Point in November! This pool is perfect for my 4 year old! A wonderful place tolive, so close to the city and fantastic playgrounds. Good day, I would like to know whether this is a good spot to see the fireworks? I am flying to Sydney from Holland to be there on new years Eve. Yes it’s a wonderful spot BUT you need to get there early, during the day, to get a good spot as it gets very very crowded. Is your accommodation close to there?